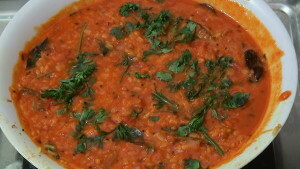 One Full Small Bowl of Semi Boiled Moong Dal. 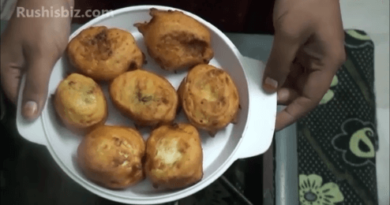 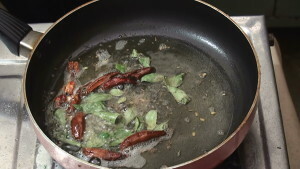 Once the seeds are popped up, try to add dry red chili and fry them. 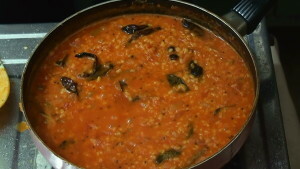 Now try to add the curry leaves. 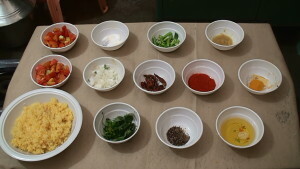 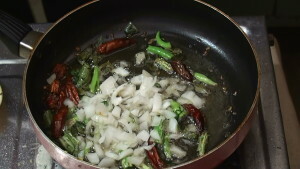 Once the chili is fried properly add the onions, mix it and allow for one or two minutes so that the onions become soft. 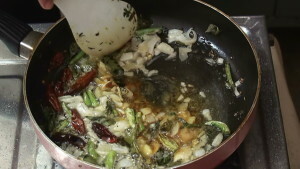 Spread the ginger garlic evenly and nicely in the oil and allow for 1 or 2 minutes. 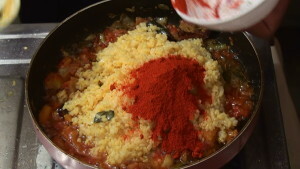 After completion of two minutes, add the tomatoes, sufficient salt. 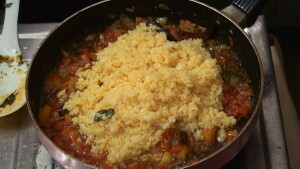 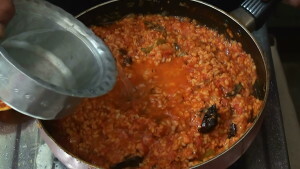 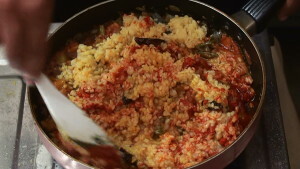 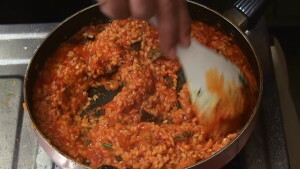 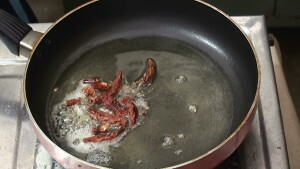 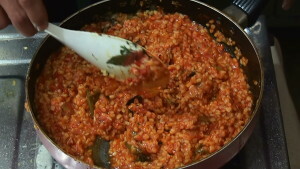 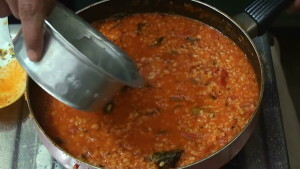 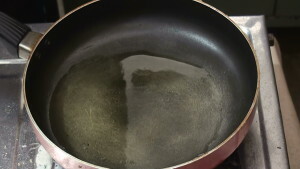 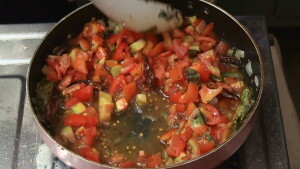 Mix them properly in such a way that the tomatoes should become oily and flavor of the salt should reach deeply into the roots of the ingredients present in the pan. 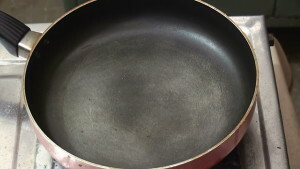 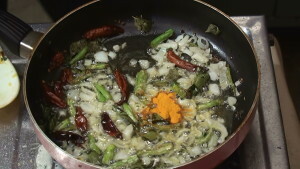 Allow the stove for 5 to 6 minutes in medium flame. 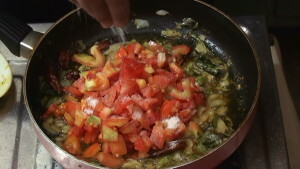 In between like after completion of one or two minutes try to mix the tomato properly once again. 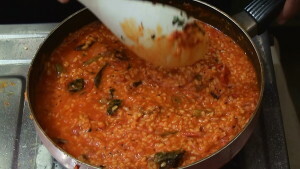 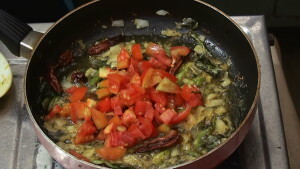 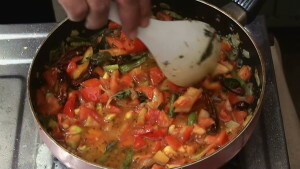 After completion of 5 to 6 minutes once the tomato becomes nearly soft, add the semi boiled moong dal and red chili powder, mix them slowly and allow the stove for 3 to 4 minutes in medium flame. Once again in between like after completion of one or two minutes try to mix the dal properly by putting the stove in low flame. 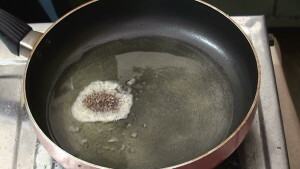 Add the water in intervals for some gravy, and allow for remaining period of time in low or medium flame. 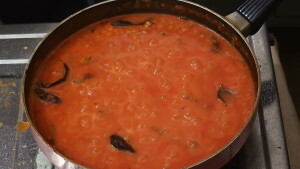 After completion of 4 or 5 minutes, the curry gets into a amazing shape, so add some more water and allow for final 3 minutes in low flame. 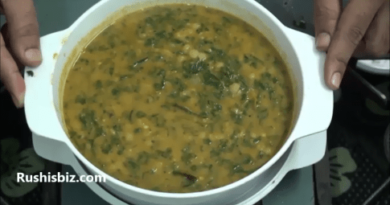 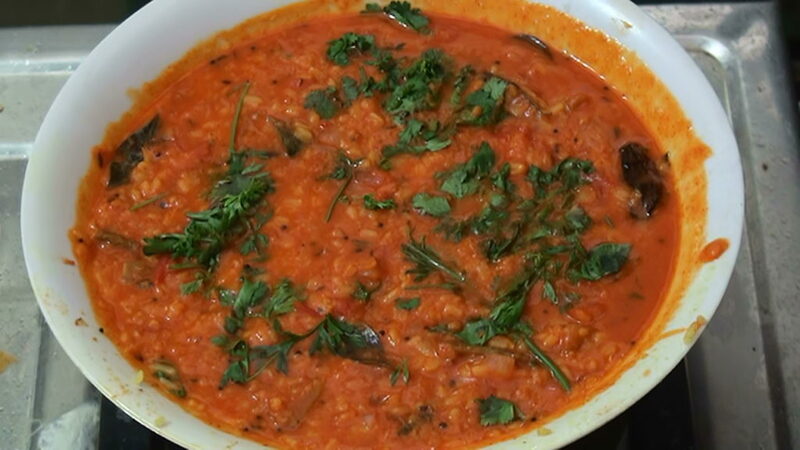 After completion of final 3 minutes we will be done with moong dal curry, now add some coriander leaves and allow for one or half minute, then put off the stove. 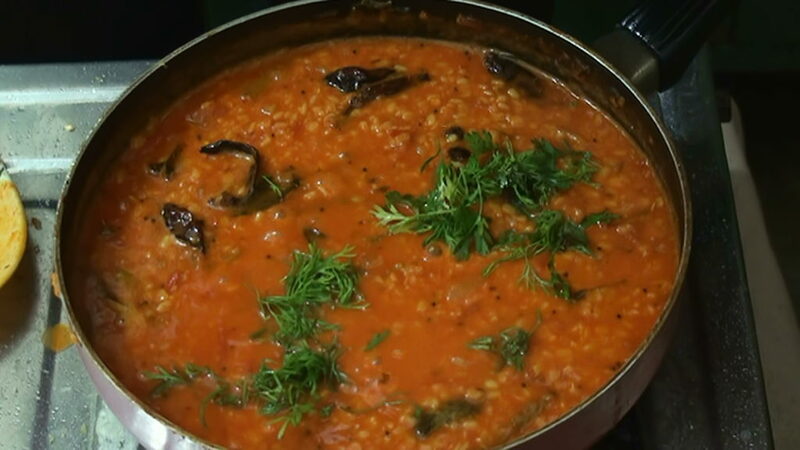 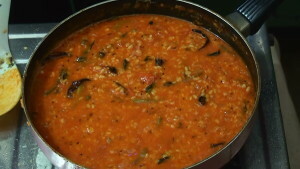 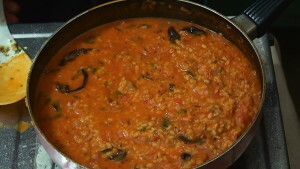 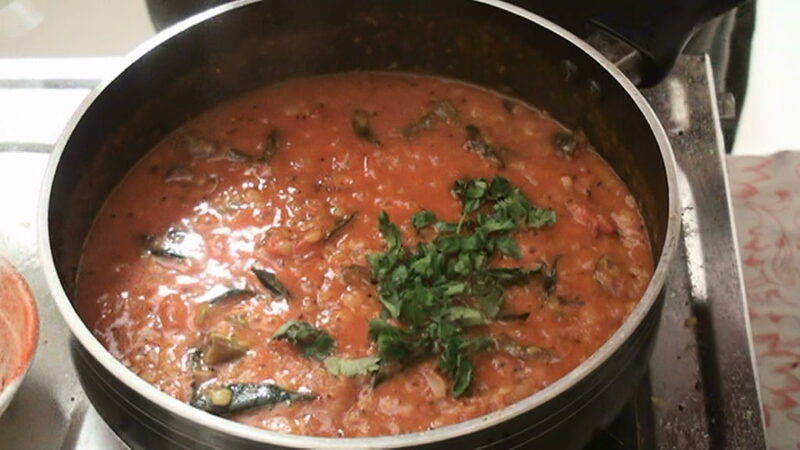 So folks we are absolutely done with the hot and delicious moong dal curry with some tomato.